It takes some navigating mountainous dirt roads and fording rivers to get to some of the villages outside of Kalaymyo, Myanmar. But in this town is a pastor named Pastor Tsang who we have been seeking to encourage by coming alongside to help construct a church building for a new church plant he is starting. We're referring to his church—one of the three we're partnering with—as the "New Church Plant." 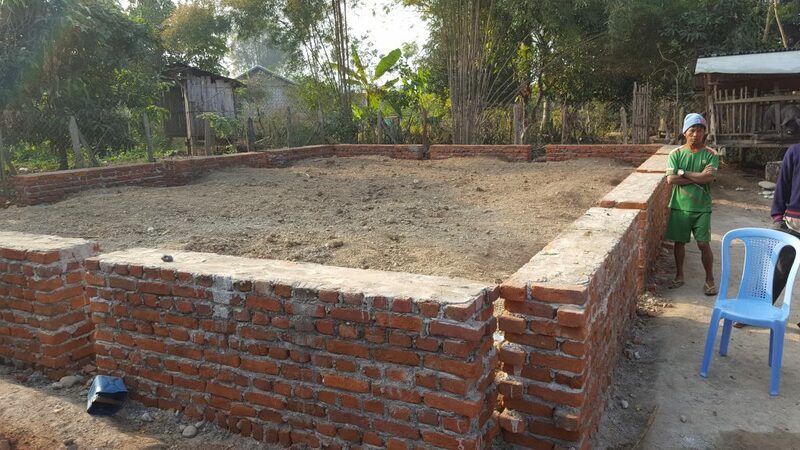 You can see now the foundation is laid and we are hopeful they will be able to start the building soon. We received a text message from Pastor Tsang with this picture that he wanted us to know about. 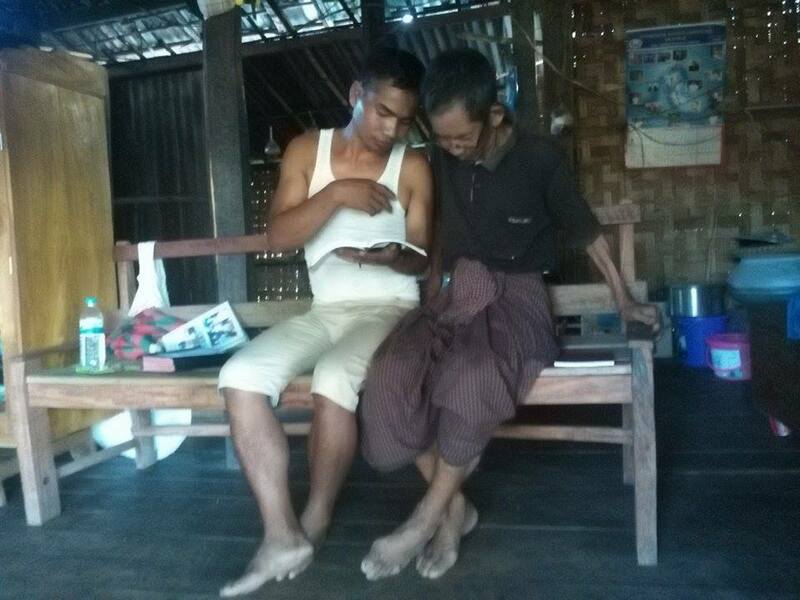 Pastor Tsang is in the white tank top talking to one of the men of the village that earlier that day accepted Christ. The man was later baptized. Praise God!